The International Symposium on Intensive Care and Emergency Medicine is organized by the departments of Intensive Care and Emergency Medicine of Erasme University Hospital, Université Libre de Bruxelles, in association with the Belgian Society of Intensive Care and Emergency Medicine (SIZ). The meeting is held every year in March. Started in 1980, this meeting has become established as one of the largest in its field, now attracting more than 6000 participants from countries world-wide. The objectives of this four day symposium are to provide participants with an up to date review of the most recent, clinically relevant, developments in research, therapy, and management of the critically ill. The meeting is open to all physicians, nurses and other health professionals with an interest in critical care or emergency medicine. Invited speakers are well-known experts in their field, and more than 200 take part each year. Different session formats including 'state of the art' lectures, mini-symposia, workshops, round table discussions, 'meet the expert' sessions, pro/con debates, tutorials, and demonstrations are included in the program. Original posters are presented, and annual 'Poster Awards' are offered. The poster abstracts are published in the journal "Critical Care" and displayed on the Internet at http://www.ccforum.com. The 'Annual Update in Intensive Care and Emergency Medicine', published annually by Springer, includes chapters on the year's latest advances in the field of critical care, written by speakers at the symposium. Each participant receives a free copy of the book. The accompanying scientific exhibition occupies some 1280m2 with 140 stalls. Companies from all over the world display the latest in medical and scientific equipment, pharmaceutical products, books, and services related to intensive care and emergency medicine. Techniques and therapies focused at the sub-specialties are displayed along with products aimed at the broader intensive care audience. Technical fora offer companies the opportunity to demonstrate directly their new products and technologies to interested participants, and to obtain instant feed-back reactions. ICU Management is the official journal of ISICEM, featuring contributions by many of the top experts and speakers of the annual meeting, editorials by Editor-In-Chief Professor Jean-Louis Vincent, as well as groundbreaking news and research presented at the symposium. ISICEM delegates receive a complimentary one-year subscription to ICU Management as part of their registration fee. The Brussels Congress Center (The Square) is equipped with outstanding conference facilities. The American Thoracic Society is an international professional scientific society for respiratory and critical care medicine which prevents and fights respiratory disease through research, education, patient care and advocacy. The long rang goal of the Society is to decrease morbidity and mortality from respiratory diseases and life threatening acute illnesses. De vereniging heeft tot doel de Intensive Care Geneeskunde in Nederland te ontwikkelen en de huidige professionalisering te stimuleren in de ruimste zin van het woord. Een belangrijk onderdeel hiervan betreft de beroepsbelangen van huidige en aanstaande intensivisten en artsen werkzaam op Intensive Care afdelingen in Nederland. The European Shock Society is a non-profit making organization established to advance the study of shock, experimentally and clinically by encouraging the international exchange of knowledge and ideas. The European Society for Emergency Medicine is a European forum for physicians who work within a structure providing pre-, inter- and/or in-hospital emergency medical care. The objective of the society is to promote the advancement of Emergency Medicine in Europe. To provide continuing education for anaesthesiologists in Europe. To help to advance the organization of training and improvements in the qualifications of anaesthesiologists in Europe. To encourage and promote experimental and clinical research and to facilitate the presentation and publication of the results within Europe. To publicize the work of anaesthesiologists in relation to other medical disciplines. To encourage exchanges between European anaesthesiologists. To make recommendations for improvements in the standards of clinical practice in anaesthesiology in Europe. The European Society of Intensive Care Medicine is an Association of individual persons. The objective of the ESICM is the advancement and promotion of knowledge in intensive care medicine. 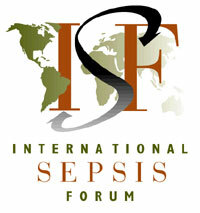 The International Sepsis Forum (ISF) is a unique collaborative effort between industry and academia. It is the first initiative to focus solely on management of patients with severe sepsis. The mission of the ISF is to improve the understanding and clinical management of patients with severe sepsis. To achieve this, the ISF is undertaking a broad range of activities including workshops, lectures, debates, and practical or practice guideline development and training programs for researchers, intensivists, and critical care professionals worldwide. The Society of Critical Care Medicine is a multidisciplinary, multispecialty, international organization whose mission is to secure the highest quality care for all critically ill patients by promoting the superiority of a multidisciplinary, ICU-based, intensivist-directed team for delivery of the highest quality, cost-efficient critical care. You will find below the list of companies sponsoring the 34th International Symposium on Intensive Care and Emergency Medicine. Baxter through its subsidiaries, develops, manufactures and markets products that save and sustain the lives of people with hemophilia, immune disorders, infectious diseases, kidney disease, trauma, and other chronic and acute medical conditions. As a global, diversified healthcare company, Baxter applies a unique combination of expertise in medical devices, pharmaceuticals and biotechnology to create products that advance patient care worldwide. A global leader in the plasma protein biotherapeutics industry, dedicated to treating rare and serious diseases and passionate to improving the quality of life for patients worldwide. We provide lifesaving treatments for a range of rare and serious conditions. Founded in 1992, Cubist Pharmaceuticals, Inc. is a biopharmaceutical company headquartered in Lexington, MA and employs approximately 900 people. Cubist has maintained its focus on becoming a leader in the discovery, development and commercialization of novel acute care therapies for use in hospitals and other acute care environments. Since 1838, Maquet is a global leader in medical systems that advance surgical interventions, cardiovascular procedures and critical care. Maquet develops and designs innovative products and therapeutic applications for the operating room, hybrid OR/Cath lab, intensive care unit and patient transport within acute care hospitals, improving outcomes and quality of life for patients. Masimo is a global medical technology company responsible for the invention of award-winning noninvasive technologies, medical devices, and sensors that are revolutionizing patient monitoring, including Masimo SET®, Masimo rainbow® Pulse CO-Oximetry™, noninvasive and continuous hemoglobin (SpHb®), acoustic respiration rate (RRa™), Masimo Patient SafetyNet™, SedLine® (EEG-based) Brain Function Monitors, and Phasein™ respiratory monitors. Orion is a globally operating Finnish pharmaceuticals company. Orion develops, manufactures and markets human and veterinary pharmaceuticals, active pharmaceutical ingredients and diagnostic tests. Orion Pharma’s critical care product portfolio includes two own proprietary molecules, the alpha2-agonist dexmedetomidine (Dexdor®) for sedation of patients in intensive care units and the cardioprotective inodilator levosimendan (Simdax®) for treatment of acute heart failure. Founded more than 20 years ago in Munich Pulsion Medical Systems has become a leading specialist in haemodynamic monitoring since many years and provides the clinician with a variety of technologies to optimize the haemodynamic management of patients on ICU and in the OR. The transpulmonary thermodilution technique for cardiac output, preload and lung water measurements together with the thereby calibrated continuous pulse contour analysis (PiCCO) are in the centre of the company’s competence. The PulsioFlex enables patient centred flexibility according to the StepWise Monitoring Philosophy. Alexion Pharmaceuticals, Inc. is the global leader in complement inhibition, and has developed and markets Soliris® (eculizumab) as a treatment for patients with paroxysmal nocturnal hemoglobinuria (PNH) and atypical hemolytic uremic syndrome (aHUS), two debilitating, ultra-rare and life-threatening disorders caused by chronic uncontrolled complement activation. Astute Medical is committed to improving patient outcomes through the identification, validation and commercialization of unique biomarkers. Our measurement methods help rapidly assess high-risk acute medical problems. Intuitive Save Infusion Therapy Infusion and Acute Dialysis B. Braun, a globally operating family owned company with more than 47,000 employees. With innovative & state-of-the-art products focused on clinical safety, B. Braun leads the changing demands in health care around the world. For over 100 years, C. R. Bard, Inc. has been Advancing the Delivery of Healthcare by creating innovative products and services that meet the needs of healthcare providers and patients. Bard are happy to present the Arctic Sun 5000 product line. The AS5000 temperature management system brings precision targeted temperature management to the highest level of performance available today. The Bayer Group is a global enterprise with core competencies in the fields of health care, agriculture and high-tech materials. Bayer HealthCare, a subgroup of Bayer AG with annual sales of EUR 18.6 billion (2012), is one of the world’s leading, innovative companies in the healthcare and medical products industry and is based in Leverkusen, Germany. The company combines the global activities of the Animal Health, Consumer Care, Medical Care and Pharmaceuticals divisions. Bayer HealthCare’s aim is to discover, develop, manufacture and market products that will improve human and animal health worldwide. Bayer HealthCare has a global workforce of 54,900 employees (Dec 31, 2012) and is represented in more than 100 countries. More information at www.healthcare.bayer.com. BiO2 Medical is a medical device manufacturer that designs, develops, and manufactures innovative medical products in response to unmet clinical needs. Currently, BiO2 is focused on commercializing the CE Mark approved Angel® Catheter, to provide PE protection for hospitalized patients. The Angel® Catheter is a unique CVC based IVC filter and can be placed at the bedside in the ICU. Biotest is a developing pharmaceutical and biotherapeutic company which specialises in the areas of immunology and haematology. Biotest produces plasmaproteins. As the global market leader in hyperimmunoglobulins and the exclusive manufacturer of an IgM-enriched immunoglobulin, Biotest considers itself as a provider of special solutions for the prevention and therapy of life-threatening and rare infections. Positive thinking with an eye on positive patient outcomes. We're a global healthcare products leader focused on helping medical professionals perform their lifesaving work. The Dräger product range in the medical technology division comprises anesthesia workstations, ventilators for emergency and intensive care and home ventilation, intensive and transport ventilation as well as warming therapy for premature infants. Patient monitoring, IT solutions, accessories and consumables, ceiling mounts and lighting systems and central supply units for medical gases complement the range. From the very first Swan-Ganz pulmonary artery catheter to the FloTrac sensor and EV1000 clinical platform, and now the latest innovations: ClearSight system and GlucoClear continuous glucose monitoring – our goal remains: to provide you with the clarity you need, the moment you need it, in order to advance the care of the critically ill.
Fresenius Kabi is a leading international health care company focusing on products for the therapy and care of critically and chronically ill patients. Our product portfolio comprises I.V. generic drugs, infusion therapies, clinical nutrition products and related medical devices. Within transfusion technologies, we offer products for whole blood collection and processing as well as for transfusion medicine and cell therapies. Gambro is a global medical technology company and a leader in developing, manufacturing and supplying products and therapies for Kidney and Liver dialysis, Myeloma Kidney Therapy, and other extracorporeal therapies for Chronic and Acute patients. By designing and delivering solutions to dialysis clinics and intensive care units, Gambro offers not just improved treatment quality, but also improved efficiency. LiDCO develops and supplies innovative minimally and non-invasive monitors to hospitals. The LiDCOrapid with Unity software combines both invasive and non-invasive arterial waveform monitoring for peri-operative care, enabling reduced lengths of stay and reduced complication rates. The LiDCOplus is a calibrated haemodynamic monitor that has been shown to reduce complications by 40% in high risk surgical patients. Novalung GmbH is a leading international medical device company with headquarters in Heilbronn, Germany. Today Novalung is the first to offer a complete product portfolio for extrapulmonary lung support. Working hand-in-hand with clinical expertise, Novalung´s medical device innovations make customized therapy possible - flexible, safe and easy. Nutricia Advanced Medical Nutrition is a specialised healthcare unit of Danone. One of Nutricia's focus areas is critical care, including specialised tube nutrition for patients who are unable to feed normally. The portfolio includes Nutrison Advanced Protison, a nutritionally complete, polymeric, ready to use, protein and fibre enriched tube feed for the dietary management of critically ill patients in ICU with metabolic stress. OptiScan Biomedical has developed a clinically-proven, automated bedside blood monitoring platform for the Intensive Care Unit that requires no calibration. The OptiScanner System automatically measures and trends Glucose, ScvO2 and Hemoglobin, providing clinicians with trending data supporting early detection of changes in the critically ill.
BRAHMS GmbH, Part of Thermo Fisher Scientific, specialises in innovative products that facilitate earlier diagnosis of diseases and better control of therapy, thus enabling doctors to provide more efficient and economic patient care. Major fields of activity are diagnosis of infectious and thyroid diseases, cardiology and pneumology as well as sepsis, tumors, and Down's syndrome. ALung Technologies is a leading developer of advanced medical devices for treating respiratory failure. ALung’s Hemolung Respiratory Assist System (RAS) is a dialysis-like alternative or supplement to mechanical ventilation. The Hemolung RAS removes carbon dioxide and delivers oxygen directly to the blood, allowing the patient’s lungs to rest and heal. biosyn was founded in 1984 and is one of the first European biotechnology companies. As a research-oriented pharmaceutical company biosyn supports the SISPCT-study which shows the impact of selenase® in critical care patients. The latest research proves that high-dose selenium reduces ventilator-associated pneumonia and illness severity in critically ill patients with systemic inflammation. MetaVision by iMDsoft is an advanced point-of-care Clinical Information System built especially for the critical care environment. It captures, displays, analyzes, reports, and stores the vast amount of patiant-related data generated in ICUs. MetaVision includes advanced functionalities such as clinical desicion support, quality-of-care reporting, and exchange of patiant data across the entire continuum of care.